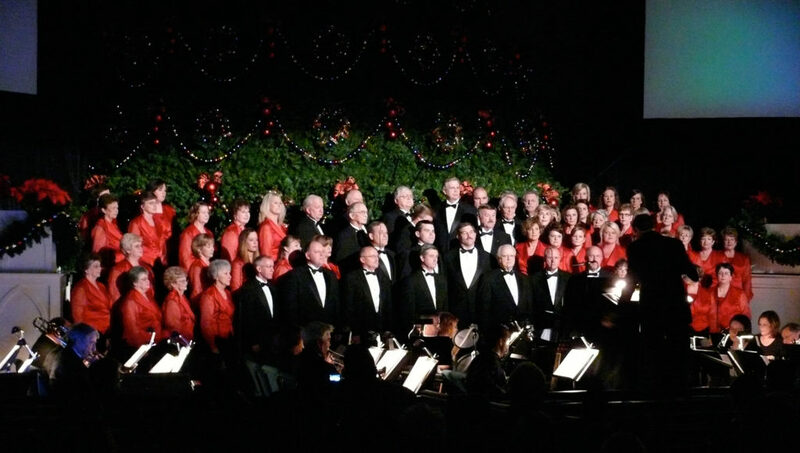 Milford, NH – Franklin Denham, Minister of Music at Highland Baptist Church in Meridian, Mississippi, has been conducting Singing Christmas Tree performances since 1985. The history of singing trees goes back to the outdoor presentations in 1933 at Belhaven College, Jackson, MS, which is considered the first and oldest outdoor Singing Christmas Tree event in America. At the time, indoor performances were rare, as it required a rather large church to accommodate this type of performance. 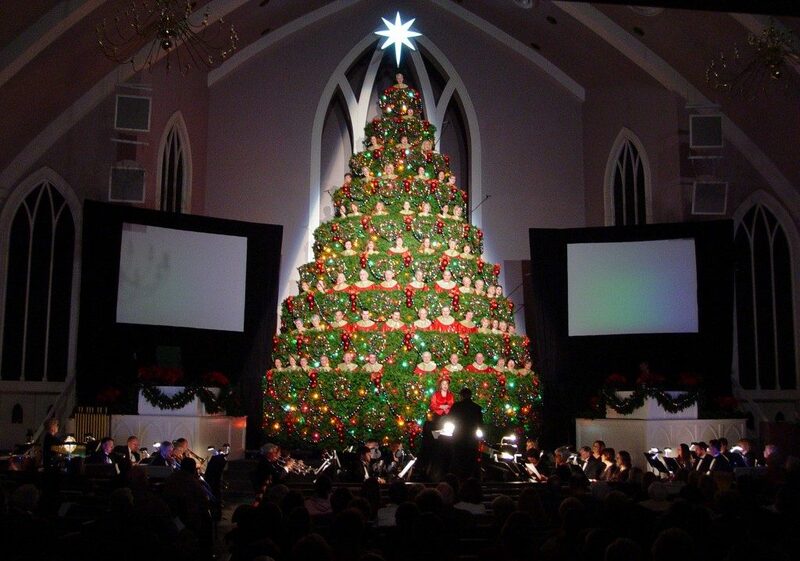 All of the tree performances at Highland Baptist Church have been continually held indoors and are performed 6 times each year. Over the past 29 years, there have been approximately 2,800 attendees per season. Depending upon the year, there will be from 65 to over 100 singers on the tree. It stands 35 feet high, with nine rows of singers and weighs 21,000 pounds fully loaded.